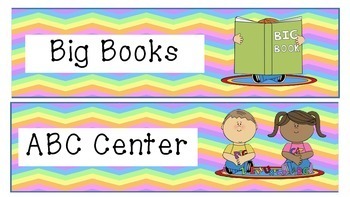 Print, cut, and laminate! 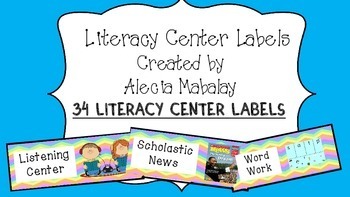 These literacy center labels fit in pocket charts and provide a great visual for students. 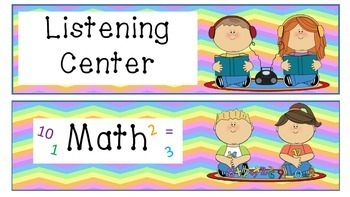 Within a month, my kindergarten students are able to independently manage the center they go to based on the picture clues. 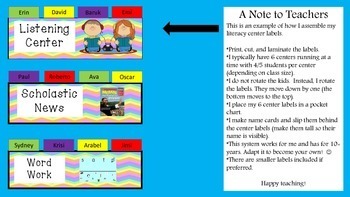 I included a sample picture of how I typically use these labels to group students. If there are center labels you would like but not listed, shoot me an email and I will make them at no additional charge. Enjoy!